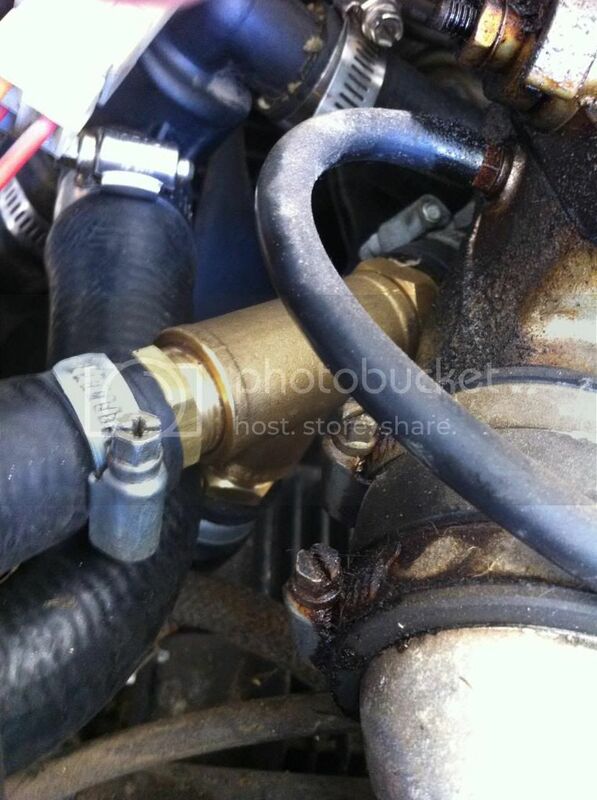 I know this has been covered in the forum before, but has anyone had luck finding alternate hoses for the upper and lower radiator hoses? I have a leak at the resevoir on mine, and was hoping to find an alternative to changing the coolant resevoir to the CBR resevoir. I know OPP Racing has several silicone pieces and Samco makes hose kits for other Ducati models. Any thoughts or advice on this would be greatly appreciated. Thank you guys. I'm talking to a company in the UK tomorrow about making them. I ended up buying a set of 916 or 996 or 999 or whatever the f^*k it was and used about half of those. For the rest I got a couple of hoses of the right diameter (from a Daihatsu Charade...I think) which were quite long with heaps of bends and cut sections to suit. I also had to have a T piece made up from brass. A lot of f^*kin around but can be done if no kit can be found. You could probably use copper plumbing fittings to make a tee. I'm a plumber if anyone wants one made up with extension pipes soldered in(22mm or 28mm pipe od or a few mm bigger if od of fitting is used ) pm me. The actual tee fitting could be cut down a bit before pipes are soldered in to reduce size if necessary. Worth going to a bike breaker to get odd bits of hose, they normally throw them out so are cheap. SFS seem up for a challenge and have done group buys for owners clubs etc in the past - I'm goign to drop my hoses down to them in the next week or so and see what they say. There will be tooling costs involved whihc is why we'd probably need to look at a group buy type thing to get an initial production run sorted but once they are tooled they can manufacture again the future. 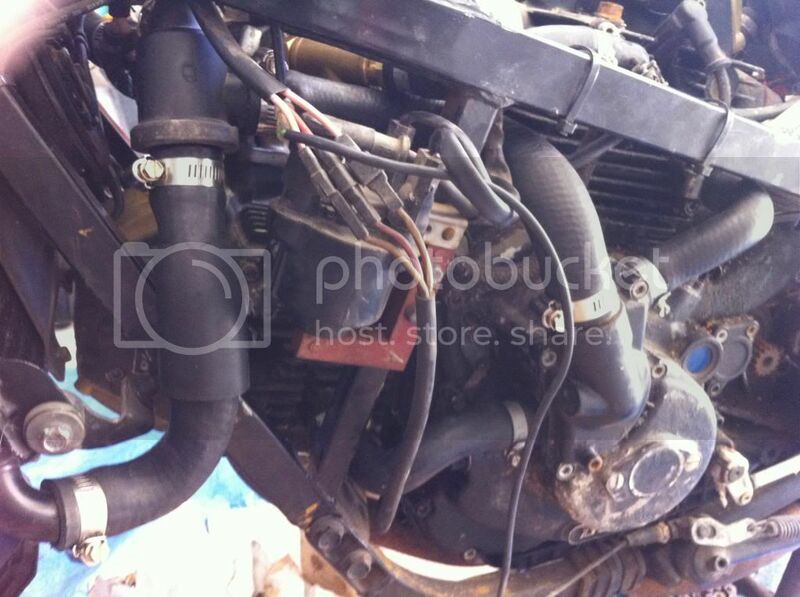 So am I right in thinking that this is relevant for the 906 mob as well if we get the main bits done ? I would definetly buy a kit. As well as everyone else I believe that owns these beauties! Thank you Duc750. Please let me know when these will be available. I know the Samco kits here inthe U.S. run anywhere from $100.00 to $300.00 for a complete silicone kit. Great pictures from lane1feathers. Thank you all so much for the info. That is great. To me, it would be worth every penny, just to be able to get the O.E. type hoses. I hope this pans out. I know there will be a lot of happy owners out there! keep us informed. sooner or later we all need a new set of hoses. If a suitable manufacturer of hoses can be found, how hard would it be to re-route the hoses so a more common thermostat can be used? Not sure what type off a later bike would suit, but from memory, the 996 has a straight through connection, rather than the right angle that is at the top of the 906/907. The 916/996 and also the STx, S4, S4R all use the same thermostat. It also has the right angle connection but is on the wrong side from the 906/907 (kind of hard to explain). The 906/907 thermostat is also the same as the 851/888. 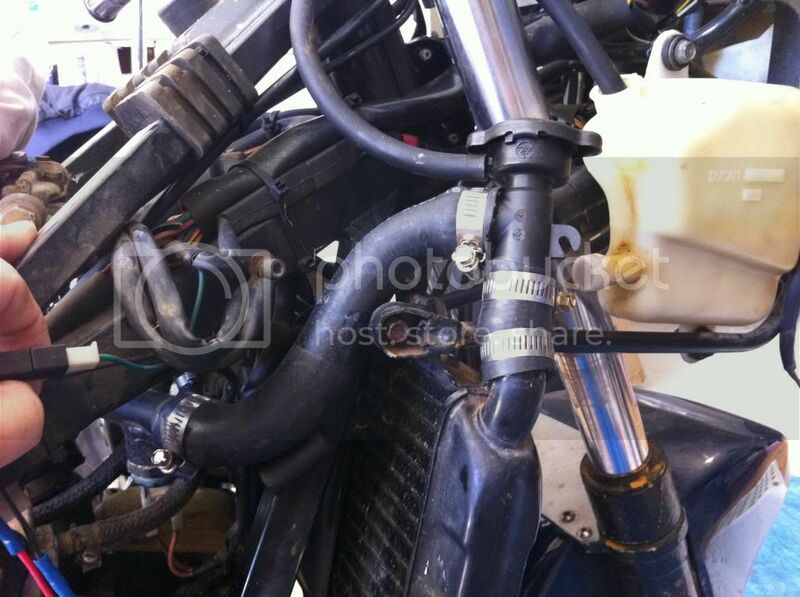 I have an alternative idea to use the radiator from an ST2/4 which would do away with the pressure to the header tank but the top hose is on the opposite side so would need the plumbing re-arranged but I reckon it could be done. If the thermostat housing was changed to the later type with the hose to the thermostat facing forward instead of up it could probably be done using hoses from other Ducati models. The inner edges of the fairing air ducts would probably need trimming to clear the edges of the curved radiator but that wouldn't be seen. Sorry I've gone off at a tangent from the original post. So given all the discussion above is it fair to say that a like for like with stock is not wanted ? Incidentally header tanks aren't really the problem everyone makes out - I've had several quites to manufcature one off header tanks for under £60 all capable of being pressurised and using a more standard pressure cap (like a Honda cap). they may not be quite the same shape but will fit without fairing mods. The joys of living in the Uk's motorsport heartland ! 3. New pressure cap - non standard Ducati item - something commercially available i.e Honda or the like.